AXIS Flight School has been posting information about coaching, events, photos, videos, and their trick tips on Facebook for the past year. Recently however, facebook has been making a lot of changes that effect businesses with personal profiles. In order to keep our information out there, we have created a business account. Unfortunately, now we have to start all over by rebuilding our friend list. Blue Skies Magazine, has been a huge help by posting a bulletin on their wall, informing their readers about this switch. If you do not yet have a subscription, you are missing out! 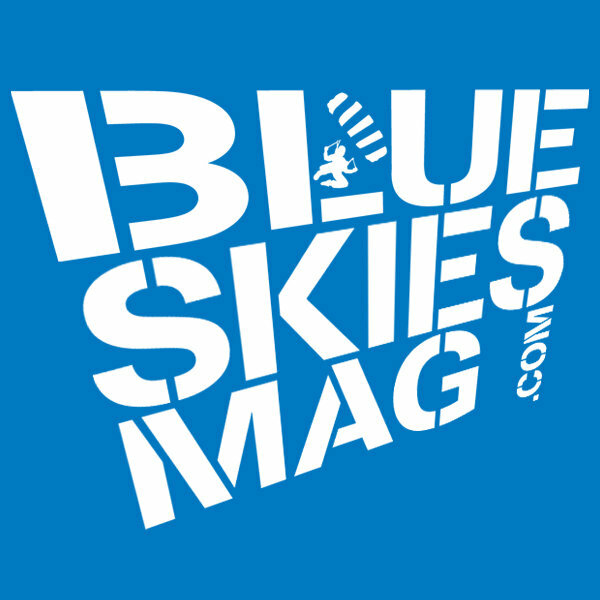 Blue Skies Mag is independently owned and operated by people passionate about human flight. Covering everything from: skydiving, BASE, paragliding, ground launching, speed flying, hang gliding and any other form of human-powered flight, this magazine will keep you in the loop of the most up to date information available in the industry. Also, please make sure to check out their Facebook page! This entry was posted in AXIS Flight School, Publications, Skydiving by niklasdaniel. Bookmark the permalink.